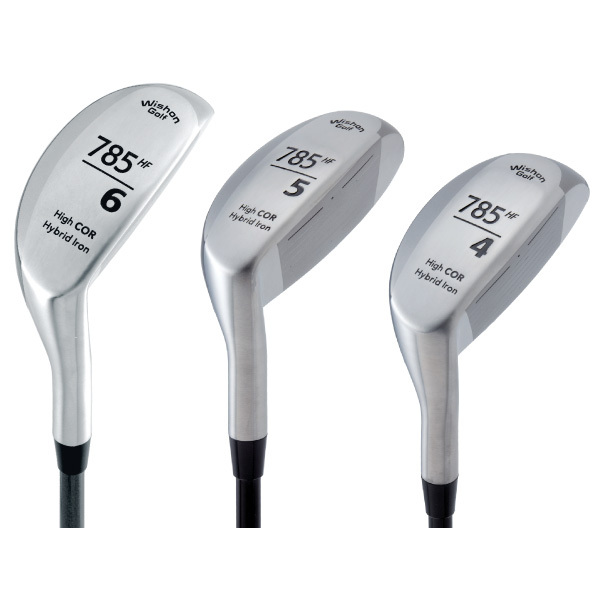 What are the lofts of the 7-PW in the old 785 hybrids? Yes, you can use the 0.335 tip hybrid shafts in those 0.370 bore heads with a shim. Yes, it is true when we had this full set 785HF model, the #7 to PW did not sell nearly as much as did the lower loft models. And of course, this is because the vast majority of golfers see a hybrid as a low loft iron replacement club. But we did have some who went for the full set, mostly it was slower swing speed players, and the reports back were that they liked them over their conventional irons. Actually, the reason we had to drop the 785’s was more because the foundry I had contracted to manufacture the model stopped buying the special Carpenter T275 high strength steel alloy we designated for the faces. 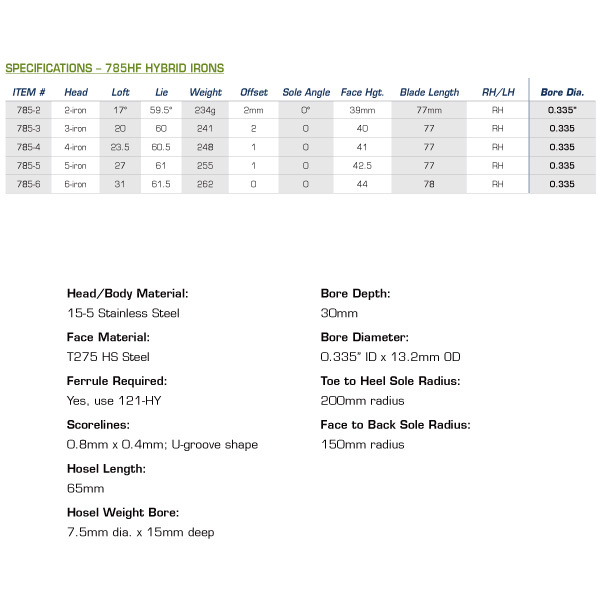 The foundry had no other golf company customers who used that alloy in a head model so with us being the only one, our orders were not large enough for the foundry to cover the minimum steel qty that Carpenter required when placing a steel order. But from that, we designed the 775HS which is just as hot for the COR of the face and a little more modern looking too, which has made it quite popular.